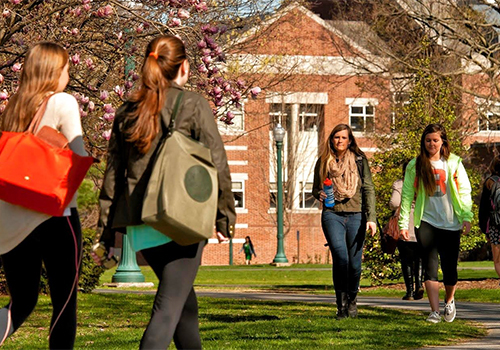 Campus bookstores expand women’s athletic apparel, embracing the growing trend in “athleisure” wear. The commercial opens in a sun-dappled dance studio, where a young ballerina goes through an impressive warm up to the voiceover of a litany of rejection letters. As the disruptive ‘I Will What I Want’ video powered virally to eight million views last summer, viewers were amazed to learn the dancer was Misty Copeland, acclaimed soloist for the American Ballet Theatre, and the commercial was for Under Armour, a brand more traditionally grounded in the male-dominated locker room. The ‘I Will What I Want’ campaign was the company’s most expansive global women’s marketing campaign to date, with Copeland, along with fellow pitch ladies, Olympic gold medalist Lindsey Vonn, tennis player Sloane Stephens and soccer star Kelley O’Hara, taking the brand, and performance wear, firmly beyond the sports field into a new category of blended apparel – athleisure. Loughan is expanding her stores’ athleisure footprint with Under Armour women’s, Nike, and the company’s own Red Shirt private label line, in over 50 campuses, featuring fabrics and styles on par with this movement. 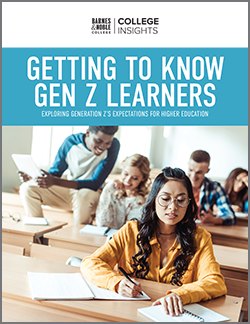 And what students can find at their campus bookstores can hardly be called exclusively gym apparel, with styles that have greater appeal for everyday wear. “We really want to capture the attention of the everyday woman, addressing her needs from the athlete to building her wardrobe with the kinds of products that she’s going to want to wear every day,” explains Under Armour Brand Manager, Emily Davis. 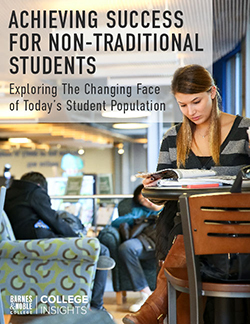 That translates for campus stores to an array of tank tops, quarter zips, dolmans and crop tops, offering a variety of choices especially appreciated by the students at Emory University. “The students here are always the first to pick up on a new trend,” explains the campus bookstore’s Director, Leah Antoniazzi, “and athleisure’s taking off here because they love something that’s stylish, but can still offer practicality for their workouts,” she adds. While black still dominates as a fabric color, the Emory ladies like the broader color palette the trend supports; highlighter yellow, pinks and navy. “They also love a more stylish athletic look – tank tops with cut outs or mesh embellishments,” Antoniazzi notes. Athletic performance wear on display in the Barnes & Noble at Emory University Boosktore. 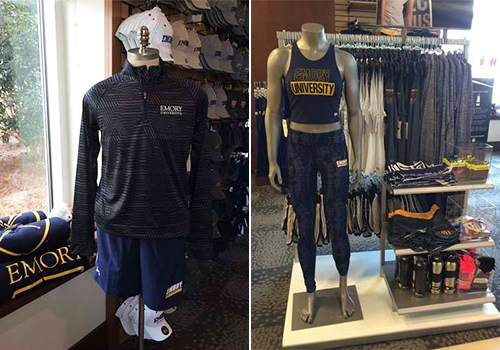 That crossover fashion element has proven so successful at Emory that the school’s Swimming and Diving Team recently invested in 29 pairs of matching Under Armour leggings and tank tops for their National NCAA Division Swim Championships appearance. 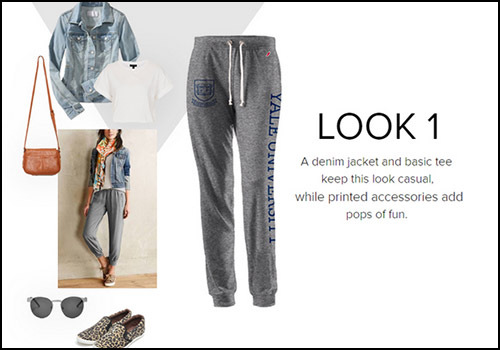 It’s a blending of fashion and school identity that Loughan has anticipated with a test of Soybu apparel, on 12 different campuses, including Emory, which provides athleisure silhouettes for each school’s primary team colors. 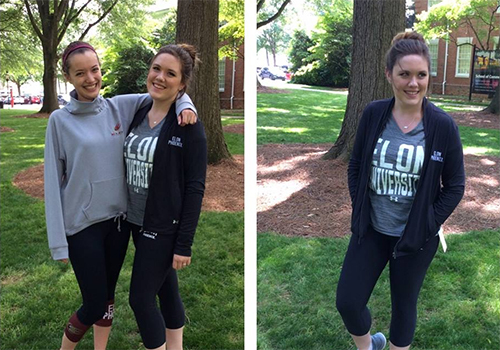 Students model emblematic athletic apparel from the Barnes & Noble at Elon University bookstore that can be worn inside or outside of the gym. Emory’s Antoniazzi stresses that if the clothing has changed, then so too have the activities it supports. “Fitness can be a lifestyle in itself,” she points out. “Spinning and Soul Cycle are huge on campus, they’re sports that require a strong social interaction, a place where new fitness trends also fit with the trendiness of the fashion – but dress it up with a scarf or a cool cardigan, it can also take you through the day and evening.” Loughan agrees. “It’s the new jeans, it’s the thing to wear being functional yet with great fit and comfortable fabrics,” she says.